Homeschooling Mom of Four: "The Words of Our Testimony"
Every Sunday morning, our pastor begins the service with "What has God been doing in your life this week?" allowing people to share something that is important to them. I've never spoken up in part because I'm never prepared and I'm not really a spur-of-the-moment kind of person. Well, last Monday, Doug suggested that I consider sharing at church, something that occurred last week. I’ll begin with the events that preceded that, some of which he talked about last Sunday. I’m a writer so what I say today will be very much like a story being told but that’s the way I do things. Today, for almost six minutes, I overcame my incredible fear of speaking to large groups and shared this with our church. I'm thankful for the friend who stood by me as I spoke and I'm convinced that she was holding me up so I didn't collapse on the floor. Last December, I embarked on a journey that has changed my life forever. It began with the question of “What is my relationship with God like?” Followed by “How would I like my relationship with God to change?” The past seven months have seen my walk with Jesus change in ways I didn’t even know were possible. I went from thinking my relationship with God was me talking, Him listening but nothing more, nothing deeper, to learning that God is so much more than just One who listens. And I have learned to listen back. Early the next morning, was Saturday and as I was doing my devotions, I heard the same voice whisper “You’ll have a story to tell.” I kept telling myself that I needed to believe I could be healed. I had been having a few really good weeks. God was good to me. Then this heart stuff came. Had I become comfortable in my faith? Comfort would rob me of my dependency on God and in my trials, I would need to turn to Him so He could answer my prayers and receive the glory. That night, I believe I suffered from a panic attack. My heart began to pound and race, my blood pressure read numbers higher than Doug’s were, my chest felt tight, I was light headed and even in my 30 degree bedroom, I felt cold. I don’t know how long it lasted but it was close to half an hour. Although my heart was still racing I managed to fall into a restless, fitful sleep. I told Doug the next morning what had occurred and he lovingly encouraged me to tell him sooner if it happened again. Last week Sunday while the ladies were praying for me, my chest felt warm and the pounding of my heart calmed down as L prayed over me and I felt a physical relief. Because the scare from the attack was still vivid in my mind, I had a hard time making myself relax on Sunday, my heart was still in overdrive. That afternoon I was constantly checking my blood pressure and finally around 4:00, it had reached a level that was more to what I was used to. Then I heard something in my head tell me “Do not check it any more.” I was drawn to John 14:27 which in the New Living Translation says,“I am leaving you with a gift—peace of mind and heart. And the peace I give is a gift the world cannot give. So don’t be troubled or afraid.” I don’t know how many times I read it over and over. I wanted peace. I needed peace… Something that only He could give. It was still a pretty rough afternoon for me as I remembered my mom but I received lengthy and uplifting texts from a friend and a dozen yellow roses from Doug’s parents, which were always my mum’s favorites. Initially, I wasn’t going to visit the cemetery but around 7:30, I had this urge to get out of the house and simply be alone. When I arrived there I cried. Lots. And I prayed, pouring out my heart to my Father. I asked God to heal me completely from my backaches to my headaches and that when I see the cardiologist, he sees nothing wrong. I cried some more. After chatting with a friend by texting, I then received a message that said “Crying breaks down the walls around our heart and that’s when we can become vulnerable enough for the Holy Spirit to start working.” I replied that if that’s the case, then the walls of my heart must just be a pile of dust. I turned to face the headstone, looking towards the sunset which was behind some trees. I looked up, with my eyes closed and the sun got brighter and brighter, blindingly so. It was almost red and my eyes were not even physically able to open. My face got hot. Not that yucky sweaty hot but a dry burning hot. And then I felt a physical peace cover me. I believe with all my heart that the Holy Spirit had come! Then as the intensity dimmed, I knew that my time there was over. I shared this experience with Doug and even after I got home, I could still feel the heat on my face which lasted for the remainder of the evening. I cried many tears, surrendered myself to God many times. On Sunday night, Doug and I prayed against anything spiritual in our bedroom that may have caused the attack the previous evening and we slept better that night that we had in weeks. I woke up on Monday morning feeling such peace in my soul. This stayed with me until Tuesday. But on Wednesday I could feel the exhilaration start to fade and by Thursday night I began to question if I should even share what happened. I was filled with doubt and it was as though I had been depleted of all hope and peace. I woke up on Friday morning determined to turn those negative feelings around again. I had two hours with God before anyone else had woken up and I had read a chapter in David Chotka’s book that speaks on the “words of our testimony”. It tells of the need to commit to talk about Jesus when the opportunity arises, how God’s grace was experienced and the reality of Jesus. That was the exact confirmation that I needed. And so here I am now. Sharing with you what God has done in MY life this week. I’m not sure what the next step is or where God will take me. 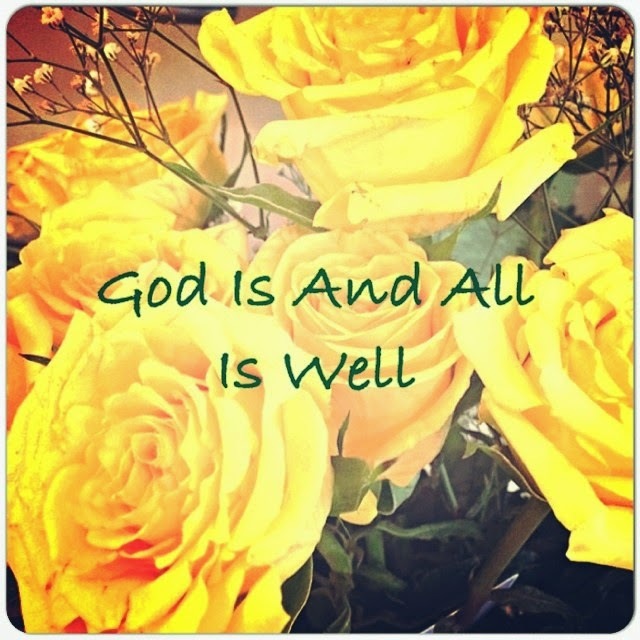 But, in the words of my mum, God is and all is well. Stephanie , my new adopted friend. Your testimony has surely touched me and has brought back that so loving memory of when God touched my life many years ago. I had that same radiant heat go through my back and then God healed me. The feeling was... Awe... , wonder , loved , precious , belonging and so much more. God speaks to everybody in different ways and I truly believe He was talking to you. You are His precious beloved daughter and He loves you greatly. I still am so amazed at His great love for us.